Wave One Stone Harbor Athletic Resort Wear For Men Women & Children from Wave One Sports. 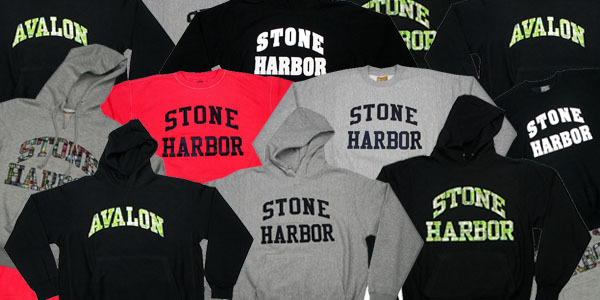 Wave One Stone Harbor stocks only the highest quality athletic resort wear available. Offering tee shirts, sweat shirts, hats, Fit FLops, Adidas and Nike shoes and sporty accessories for men, women and children. Wave One is located right in the center of Stone Harbor's down town shopping district. Stop in and say hello, we're sure you'll find the New Jersey Shore gifts you're looking to take back for friends and family and more than likely something you just have to have for yourself as well. Did you know Wave One, your destination for athletic resort wear in Stone Harbor, NJ has a second store located on the Washington Street mall in Cape May, New Jersey? See you soon!